According to the European Commission’s website, Asylum, Migration and Integration Fund (AMIF) has four specific objectives, Asylum, Legal migration and integration, Return and Solidarity. The fund effectively replaces the European Refugee Fund, the European Integration Fund and the European Return Fund which were previously in operation. With a total budget of €3.1 billion for 2014-2020, the AMIF surpasses by €1 billion the combined budget of the three funds it replaced. The Fund can be distributed to state and local authorities as well as to non-governmental and, law firms and education and research organisations. AMIF’s significant size (€3.137 billion), its duration (seven years) and the manner it is distributed are likely to have impact on EU member states’ migration management practices, including detention. 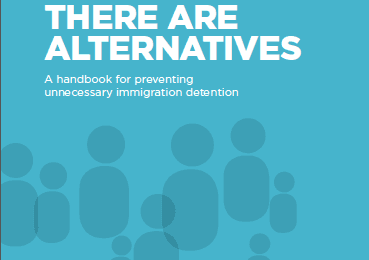 For example, the AMIF regulation specifically refers to developing alternatives to detention. 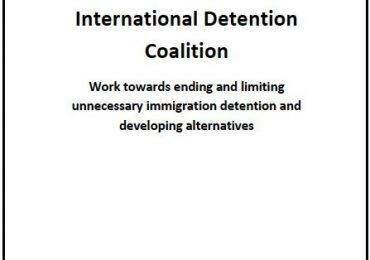 The Fund can also be used to fund the costs of pre-removal reception/detention conditions. The AMIF is part of the Home Affairs budget. Another major strand of this budget is the Internal Security Fund. So far, the funding approvals for the AMIF and the ISF have been made for the 22 national programmes. While the AMIF’ supports work that, for example, ‘enhance reception capacities, improve the quality of asylum procedures and integration, the ISF is aimed at, among others ‘improving cross-border law enforcement co-operation’ and other border management tasks. For the current list of allocations per Member State, visit this page here. ECRE (European Council on Refugees and Exiles) has also published a very useful note on the AMIF here.